"This day's experience, set in order, none of it left ragged or lying about, all of it gathered in like treasure and finished with, set aside." –Alice Munro, "What is Remembered"
Notice that the publication dates of these covers by Paul Lehr, scanned just this morning directly from the library of yours truly, range from 1969 to 1980. I’m sure some people think of Lehr as a bit of a one-trick pony, but with this little group of four, one gets a nice sense of Lehr’s quiet versatility as an image maker, in a nutshell, as it were. 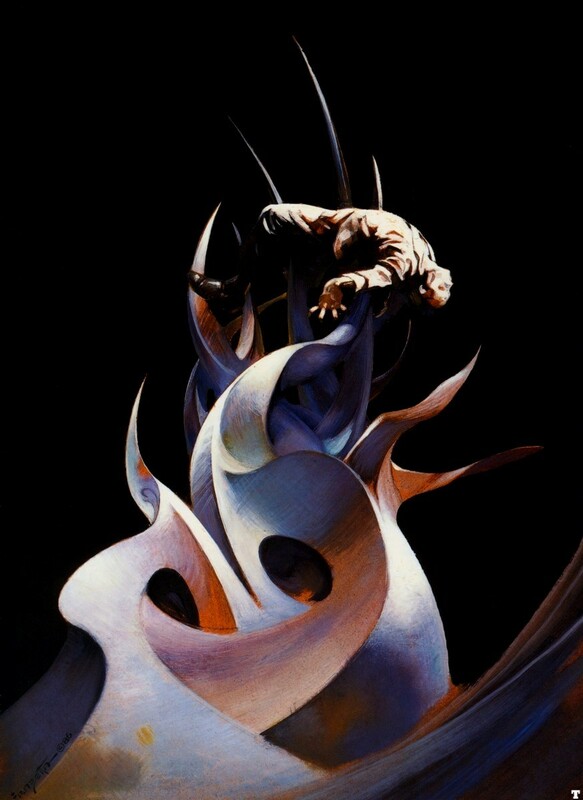 Oddly enough, Frazetta later painted an image, entitled Torment (1986), of a guy impaled on a curvilinear structure that would not look out of place in the future city hinted at in the Gunner Cade cover — which perhaps tells you all you need to know about Frazetta’s attitude to modernity — but Lehr’s flamboyantly attired, bubble-helmeted hero is about as far from the half-naked, heavily muscled, hard-charging Frazetta archetype as one can get. Yes, the Glory Road and Power of Blackness covers are fairly typical Lehr productions; however, with the cover for The Centauri Device, Lehr charges boldly into John Berkey territory, and acquits himself very well indeed. 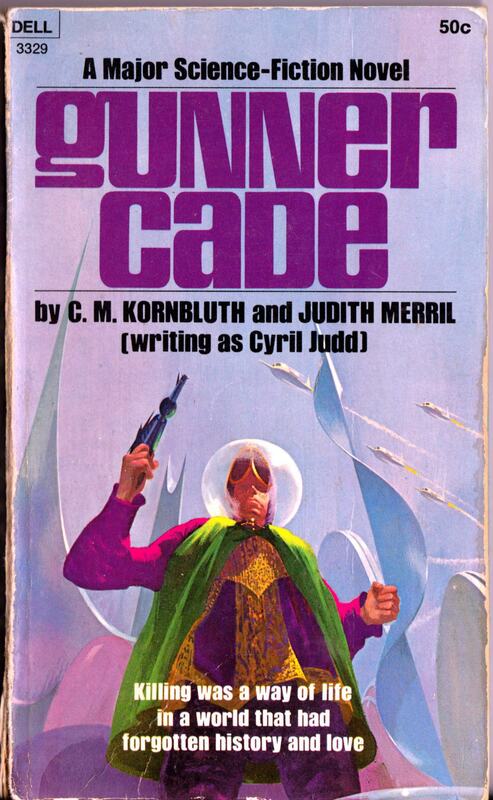 ABOVE: C. M. Kornbluth and Judith Merril, Gunner Cade (NY: Dell, 1969), with cover by Paul Lehr. 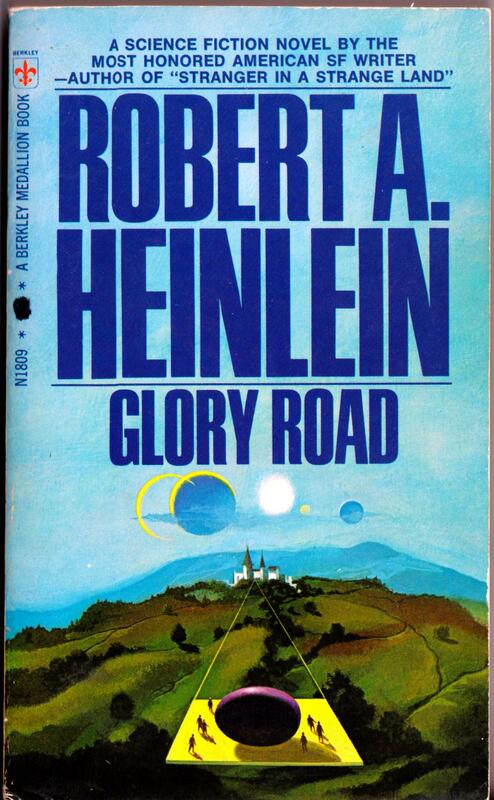 ABOVE: Robert A. Heinlein, Glory Road (NY: Berkley, 1970), with cover by Paul Lehr. 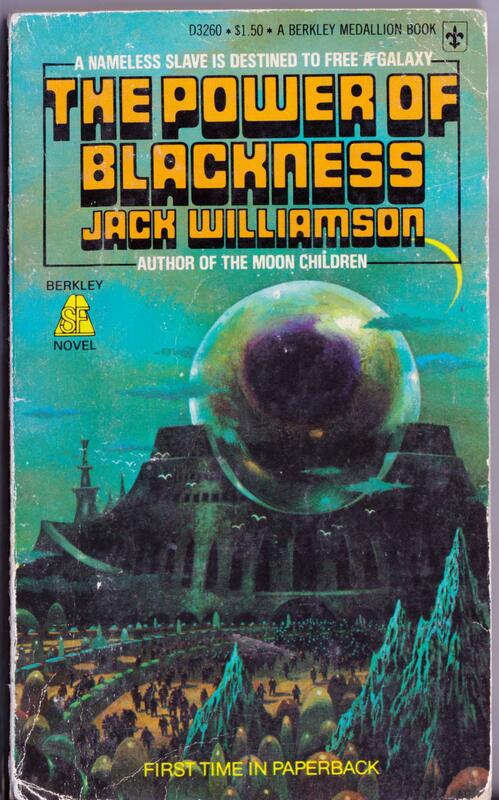 ABOVE: Jack Williamson, The Power of Blackness (NY: Berkley, 1976), with cover by Paul Lehr. 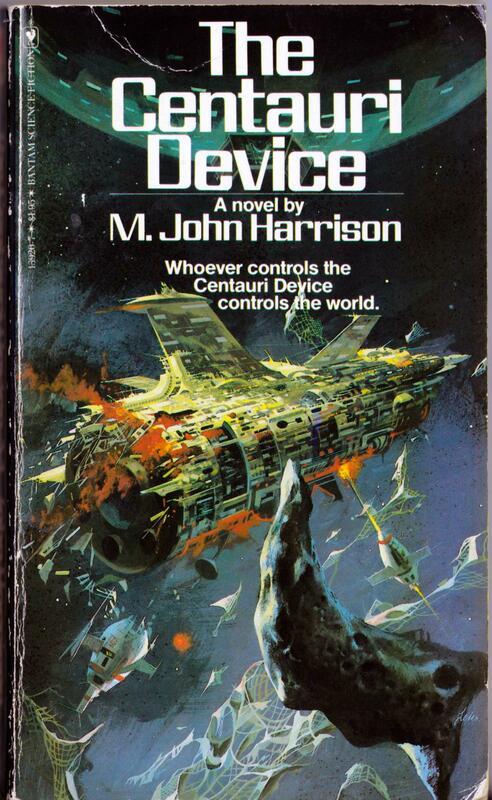 ABOVE: M. John Harrison, The Centauri Device (NY: Bantam, 1980), with cover by Paul Lehr. Keywords: Gunner Cade, Glory Road, The Power of Blackness, The Centauri Device.